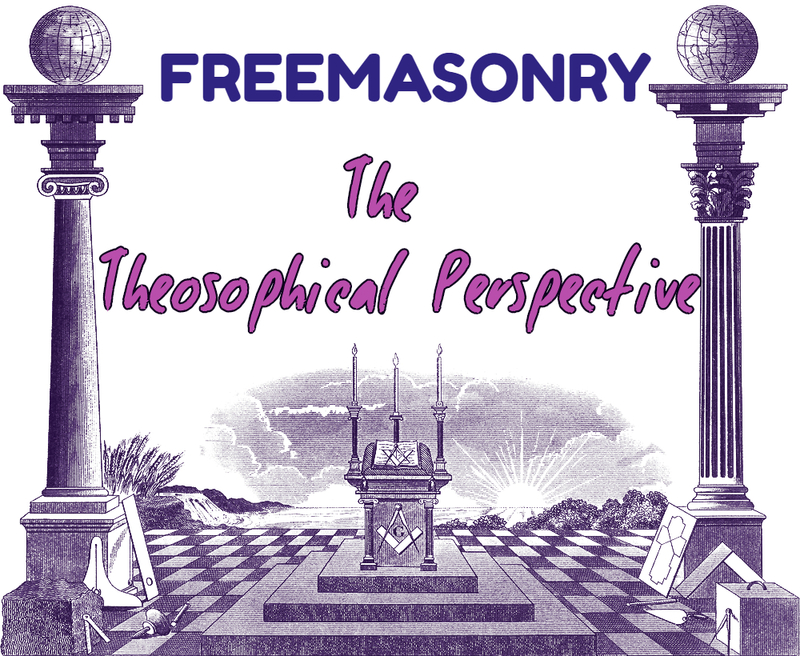 One might assume then that it is this latter society which is behind much of the popular “conspiracy theory” accusations which blame Masons for the world’s troubles, as this diverts people’s attention and suspicions away from the real culprits. This is largely due, she maintains throughout her writings, to infiltration by the Jesuits, i.e. members of the “Society of Jesus” organisation founded by Ignatius Loyola and which is an inextricable part of the Roman Catholic Church. Such a prospect of Jesuit infiltration and destruction from within is a very real threat to all noble and potent spiritual movements and organisations, states HPB, and in fact many Theosophists see this as the cause behind certain unfoldments within the original “Theosophical Society” organisation in the first several decades after the passing of HPB and William Q. Judge. – and leads to the conclusion that any Masonic group with “Knights,” “Templar,” or “Malta” in the name is highly suspect. These and others are “nearly all the offspring of the sons of Ignatius Loyola . . . under instructions from the General of the Jesuits . . . the Christianizing of Masonry . . . Templarism is Jesuitism,” (letter from high-ranking American Mason Charles Sotheran to HPB, quoted on p. 390). Masonic organisations calling themselves “Knights Templar” are in no way the same as the original Templars of history. In this regard, HPB continues, “While the real “Brothers” died an ignominious death, the spurious Order which tried to step into their shoes became exclusively a branch of the Jesuits under the immediate tutelage of the latter. True-hearted, honest Masons, ought to reject with horror any connection, let alone descent from these,” (p. 383). “That we may not be accused of vain boasting, we shall give the keys to several of the secret ciphers of the most exclusive and important of the so-called higher Masonic degrees. If we mistake not, these have never before been revealed to the outside world (except that of the Royal Arch Masons, in 1830), but have been most jealously guarded within the various Orders. We are under neither promise, obligation, nor oath, and therefore violate no confidence. Our purpose is not to gratify an idle curiosity; we wish merely to show Masons and the affiliates of all other Western societies – the Company of Jesus included – that it is impossible for them to be secure in the possession of any secrets that it is worth an Eastern Brotherhood’s while to discover. Inferentially, it may also show them that if the latter can lift the masks of European societies, they are nevertheless successful in wearing their own visors; for, if any one thing is universally acknowledged, it is that the real secrets of not a single surviving ancient brotherhood are in possession of the profane,” (p. 394). She then proceeds over the next few pages to do exactly that, revealing to the world the codes for deciphering the secret modes of writing used by several “Knights –,” “Sovereign Princes –,” and so-called “Rosicrucian” Masonic societies. The facts are that in November 1877, shortly after “Isis Unveiled” was published, she was made an honorary Mason, in what she described as an “unsolicited and unexpected testimonial of their approval of my humble labors.” Her honorary Masonic Diploma, signed by John Yarker, did not confer upon her any particular degree, nor does it make any mention of such. She never had any personal connection with Freemasonry, least of all with Co-Masonry, which only became connected with The Theosophical Society some years after her death, through the influence of such people as C. W. Leadbeater and Annie Besant, whose version of Theosophy was profoundly different from the original. Although Co-Masonry, to its credit, admits women as well as men, it was nonetheless instituted within “The Theosophical Society – Adyar” by the same leaders directly responsible for the Society’s attempted Christianisation and even Catholicisation and who also put HPB’s original writings out of print and replaced them with their own proclamations of the imminent “Second Coming of Christ” and promotions of ritualism and church ceremonies! Those interested in this aspect of Theosophical history, the ramifications of which are still very much present today, may find it of interest to read such articles as Theosophy, The Jesuits, & The Roman Catholic Church, The Case against C. W. Leadbeater, From Theosophical Society to Bizarre Quasi-Catholic Anti-Blavatsky Cult?, and Original Theosophy and Later Versions. After her initial published acknowledgement of the Diploma, HPB made no further reference to it. She didn’t draw attention to it, never attended Masonic meetings or events, and was indeed continually critical of modern Masonry. Most of her students and colleagues would have been surprised to learn that she had been awarded such an honour, if indeed it was an honour. “The Theosophical Movement includes all efforts that lead to human freedom and enlightenment. Masonry has played and is still playing an important part in the world. For first, its main idea is the Brotherhood of Man, even though in a limited and restricted sense; second, Masonry debars from its lodges all considerations of politics or religions, recognizing those to be the greatest provocatives of dissensions; third, it is the implacable enemy of religious intolerance, and is at the present day engaged in a death struggle with the Catholic church of Mexico and South America. It was through Masonry and Masons that the United States of America was made possible. Readers may have noticed in this article a few dismissive mentions towards modern day groups which identify themselves as being Rosicrucians. There are now many self-proclaimed “Rosicrucians” but the Theosophical perspective on this can be obtained from the article Hidden Origins of Rosicrucianism, including the quotes which follow it. If some of our readers have been under the impression until now that Theosophy teaches that “the three main channels through which the preparation for the new age is going on might be regarded as the Church, the Masonic Fraternity and the educational field,” we would like to give assurance that this is very far from the authentic Theosophical view of things and is instead derived from the writings of Alice Bailey. That Bailey’s work and teachings are the very opposite of those of H. P. Blavatsky has been demonstrated on this site in 14 Good Reasons to reject the Alice Bailey Teachings and the lengthy Tibetan Master or Christian Priest? (“Uncovering the real inspiration behind the Alice Bailey Books”).